a wide variety of drinks, delicious cheeses and delicatessen while listening to live music. 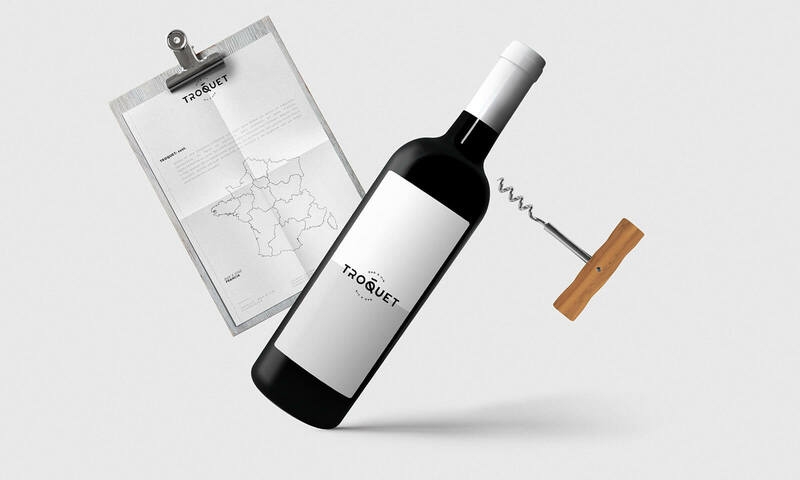 To design a graphic communication that is coherent with the bar’s gastronomic and enological offer. We proposed a very clean identity, consisting of a Sans-serif typeface and a hand-manipulated icon to demonstrate the project’s turn. A palette of neutral colors and techniques such as Hot Stamping add elegance.